Philly’s Cayetana are putting out their debut album, Nervous Like Me, next week (9/9) via Tiny Engines (pre-order vinyl or digital). We’ve already posted a few songs from the album and now we’ve got a stream of the entire thing premiering in this post. It’s an excellent debut of quality indie rock with folky songwriting and punked-up energy. Fans of Speedy Ortiz, Hop Along and Swearin’ should dig in. You can check out the full stream below. 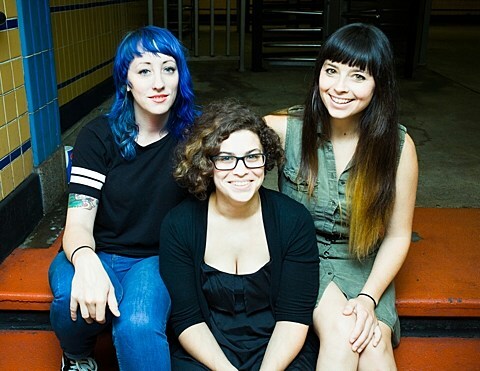 Cayetana also have upcoming dates, including their NYC show this Saturday (9/6) at Saint Vitus with Chumped, Spirit of the Beehive Support and Albondigas (tickets); and a Long Island show opening for Laura Stevenson on September 25 at Amityville Music Hall (tickets).